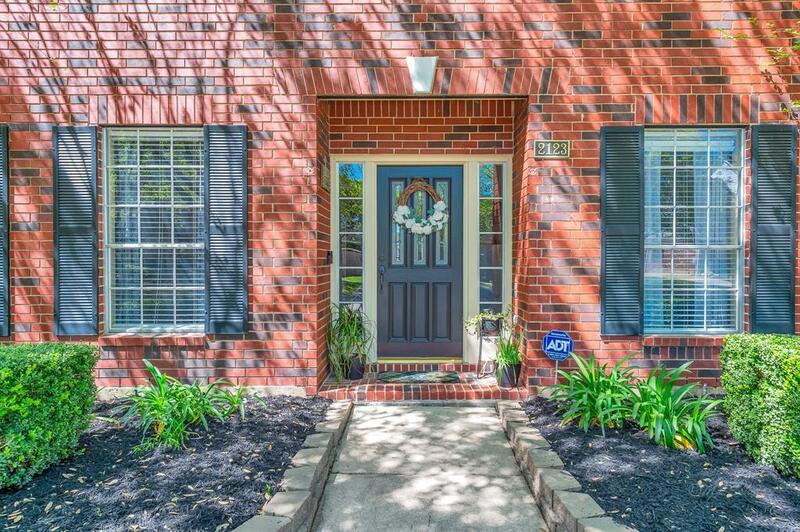 *DID NOT FLOOD* Welcome to your pristine Emerald Home in Pecan Grove! 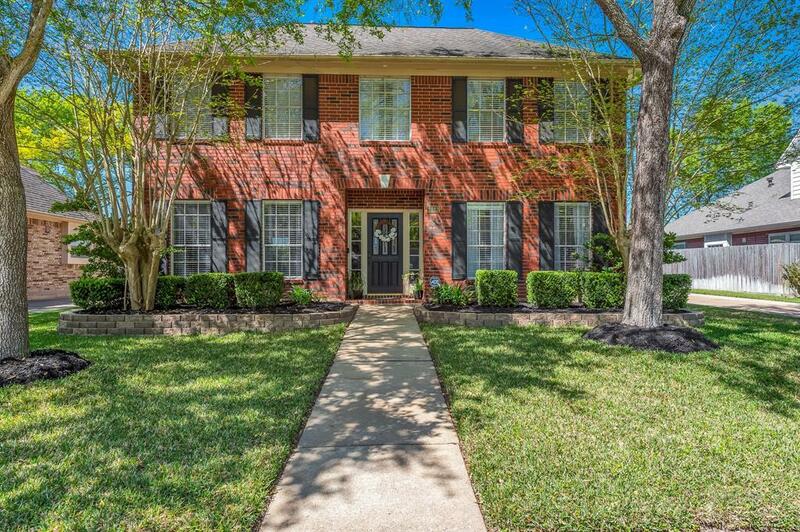 Loaded with decorator details including soft paint, crown molding, tray ceilings, wainscoting, warm wood laminate floors, French & pocket doors, built-in bookcases, bronze fixtures & herringbone brick fireplace surround. Cook & entertain in your updated kitchen with 42" cabinets, granite counters, island with storage on both sides, tumbled stone backsplash, gas range, double ovens & new dishwasher! Natural light flows through windows in study, formal dining, living & breakfast area. Relax & unwind in your master retreat with vaulted ceilings & renovated en-suite master bath with wood plank tile, frameless glass shower, subway tile surround. Three more bedrooms, secondary bathroom & seating area upstairs. 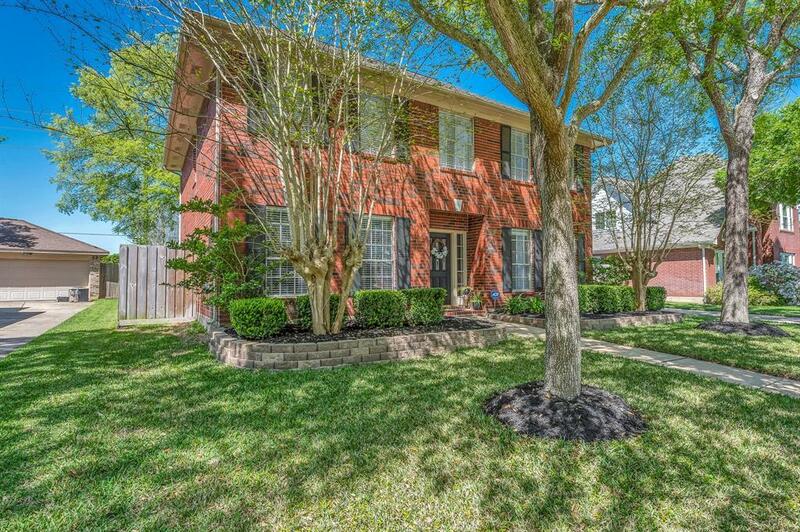 Enjoy the outdoors on your large lot with mature trees, expansive back patio & gate to the greenbelt. One new AC unit, recent water heater! 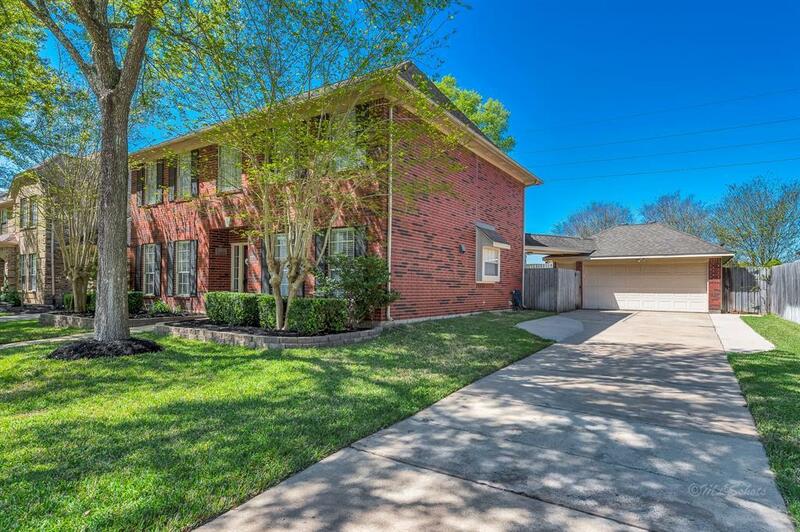 Zoned to Pecan Grove Elementary, low taxes, low HOA, no back neighbors!